Body Hair Transplant incorporates transferring hair from different parts of the body to the head and additionally, transplanting hairs to the other body parts. It is a surgical procedure that can be successfully used to improve the patient’s appearance by utilizing body hair as the additional donor area for scalp hair transplantation. This surgical treatment is performed by using the FUE technique and not by the conventional Strip/FUT extraction. It involves the extraction of hair from suitable body parts and then implanting those hair follicles into the scalp (recipient) areas having baldness. The benefactor hair can be taken from the arms, legs, chest, stomach or back; as the length of these hairs is sufficient. 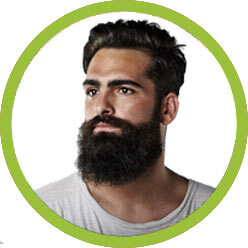 With body hair transplant, smaller scale unites or single hairs make the most normal appearance of hair on the body. Who can opt for Body Hair Transplant? The hair transplant candidates who have high level of baldness and do not have good donor area (back of the head) to serve the purpose appropriately, can go for this option. Also, the candidates who want more density/volume of hair on bald area can use their body hair along with scalp donor area. FUE technique for body hair transplant is considered as a painless technique in which the patient is free from any stitches or scars. This method is very safe and can be accomplished without any dread of side effects. FUE procedure takes only 7 to 8 hours to reach the completion and allows one to get back to their routine 1-2 days after the treatment. 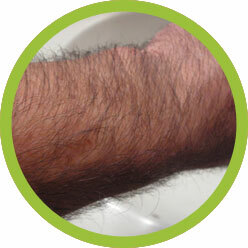 Body hair transplant surgeries are developing in numbers as they turn out to be more fruitful. The cost of FUE technique can be viewed as one disadvantage of it; as budget can be an exorbitant issue for some patients. FUE is a strategy really prescribed to the individuals who don't need an extensive number of hair grafts on their head. This transplant procedure is constrained to somewhere around 50 to 500 hair follicles. The result may fluctuate with the nature & characteristics of hair and its development. Welcome! We are here to help you learn about the best invasive & non-invasive hair loss treatment procedures in India. First Choice is by far the most appropriate choice in terms of getting best quality results at affordable hair transplant cost.